In a landmark ruling, the Federal Court has said that Métis and non-status Indians are indeed "Indians" under federal jurisdiction as defined by a section of the Constitution Act. The federal government has lost the latest battle in a 13-year legal fight over its responsibilities to Métis and non-status Indians. On Tuesday, the Federal Court ruled that 200,000 Métis and 400,000 non-status Indians in Canada are indeed "Indians" under the Constitution Act, and fall under federal jurisdiction. The decision helps to more clearly outline Ottawa's responsibilities toward the two aboriginal groups. "The recognition of Métis and non-status Indian as Indians under section 91(24) should accord a further level of respect and reconciliation by removing the constitutional uncertainty surrounding these groups," Federal Court Judge Michael Phelan writes. The decision does not go so far as to declare that the federal government has a fiduciary responsibility to the two groups, but it says such duties would flow automatically now that their standing has been clarified. However, he adds: "That duty is not an open-ended undefined obligation but must be focused on a specific interest." Melanie Omeniho, president of the Women of the Métis Nation, said the ruling means that "we will no longer be a part of the political football that has us being tossed back and forth between the province and the federal government." One complaint among non-status or Métis people is that for years they have been told they were a provincial responsibility, only to have the provinces tell them they were the purview of the federal government. That had left them in a jurisdictional limbo, said Robert Janes, a Victoria lawyer who focuses on aboriginal issues but was not involved in the case. But Sebastian Grammond, an expert historical witness in the case, told CBC News the ruling does nothing to settle the issue of how the federal government will exercise its jurisdiction. "The judge answered a legal question but left the politics to the politicians," he said. "Differences of treatment [between status and non-status aboriginals] will have to be justified in a rational way rather than just saying, 'Oh, sorry, we don't have jurisdiction over you.'" 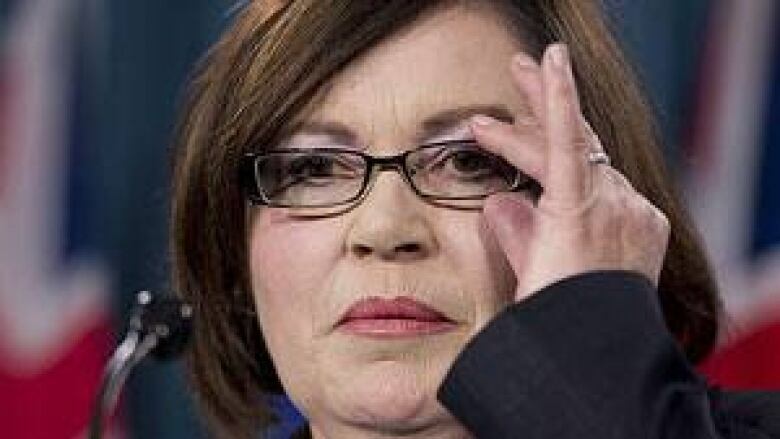 Betty Ann Lavallée, the National Chief for the Congress of Aboriginal Peoples — the group that represents aboriginal people living off-reserve across Canada — paid tribute to the work of the late Harry Daniels, the former leader who started the case on behalf of her organization. "This case was all about fairness, dignity, self-worth," she said, saying that until now, non-status aboriginals were treated as "second-class citizens. "Today's decision will mark a new relationship with the government of Canada," she said. "Let's be honest. It's not going to change it immediately. It's not going to change it tomorrow." Lavallée said the legal fight cost her group more than $2 million and that over the past 14 years, the money that the federal government spent trying to have it thrown out could instead have gone toward "addressing some of the key issues that the court decision speaks to." The Congress of Aboriginal Peoples and several Métis and non-status Indians took the federal government to court in 1999 alleging discrimination because they are not considered "Indians" under a section of the Constitution Act. They argued they are entitled to some or all of the same rights and benefits as status First Nations members, many who live on reserves. They say that includes access to the same health, education and other benefits Ottawa gives status Indians; being able to hunt, trap, fish and gather on public land; and the ability to negotiate and enter treaties with the federal government. The congress and the Métis and non-status Indians involved in the case alleged in court documents that they've been the victims of "deprivations and discrimination" by the federal government. Jason Madden, a lawyer representing the Métis National Council, told CBC News Network that "it's a good day for the Métis nation" and that Tuesday's ruling "removes an obstacle" in their relationship with the federal government — clarifying that in fact the federal government does have jurisdictional responsibilities to provide services to the Métis. "We know what door to knock on," Madden said. "We have a solid court decision to start the onslaught of litigation." Madden said the decision will allow the Métis to move forward with negotiations to determine what remedy may be required for past discrimination –— when Métis were not considered as equals with status Indians and Inuit. "What we are hoping is … based upon negotiations that they will find a place for the Métis in how [the] Indian Affairs [department] currently operates," he said. "The Métis have some wind in their sails." The president of the Manitoba Métis Federation said they are taking Tuesday's ruling cautiously, and wanting to make it clear that the Métis identity will not be lost. "We have to be very cautious about the decision because being classified or bundled together as just Indians, or the title Indians, you know categorized as one group … we are our own nation," said David Chartrand, who is also vice-president of the Métis National Council of Canada. The decision is widely expected to be appealed to the Supreme Court, and the federal government's reaction on Thursday suggested it was contemplating taking another go at it. "We are reviewing the court's decision to determine the next steps," said Jan O'Driscoll, spokesman for Aboriginal Affairs Minister John Duncan. "Our government continues to work in partnership with all aboriginals across Canada to address shared priorities such as education, economic development and jobs." He noted that the Federal Court said its decision is not about "the interpretation or application of particular rights either under the Constitution or under specific agreements, nor is it about aboriginal rights." Conservative Senator Patrick Brazeau, who is former national chief of the Congress of Aboriginal Peoples, told host Evan Solomon on CBC's Power & Politics that the court's decision and the Idle No More protest movement are part of a national discussion he sees as an opportunity. "Whether it's appealed or not, it will be a negotiations process between non-status organizations and Métis organizations with the federal government," he said. Again, it's all part of an ongoing dialogue that's taking place." The court did not get specific about what the federal government should actually do now that Métis and non-status Indians fall into the broader category of "Indians." "The court is not prepared to make some general statement concerning fiduciary duty," Phelan's ruling states. "Given the declaration of right in respect of section 91(24), one would expect that the federal government would act in accordance with whatever duty arises in respect of any specific matter touching on the nonclarified fiduciary relationship." Phelan plowed through constitutional and aboriginal history going back to before Confederation to come to the conclusion that Métis and non-status Indians should actually be considered Indians under modern law. The case for Canada's 400,000 non-status Indians was more clear-cut than the case for the 200,000 Métis, but on balance, historical evidence weighs in favour of the Métis too, he wrote. Can Idle No More comment threads be more constructive?